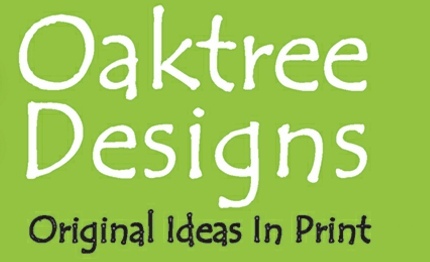 Oaktree Designs actually started life as ‘Rosedene’ Designs in 1985, when I lived in a Suffolk-pink cottage named ‘Rosedene’. There I initiated a cottage industry selling linen aprons. 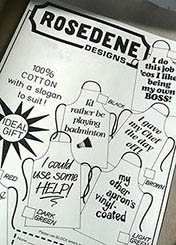 I bought plain aprons from a factory in Great Yarmouth and an artisan screen-printer printed my slogans onto them, by hand. My babysitter sewed the tapes on them; I then ironed them, packaged them and sold them by mail order. I still have two, somewhat faded, in use occasionally. At the time I had the idea for the phonics frieze I was working on a 2012 scrapbook. 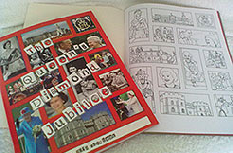 This was a double-sided scrapbook to celebrate the Queen’s Jubilee and the London Olympics. I was thrilled when Osborne’s stationers agreed to stock them but we sold more to schools, which were canvassed personally. I commissioned a brilliant wildlife illustrator, Steve Roberts of Footprint Interpretation, to create original pictures and found the best printer, Wilkinsons of Nuneaton, quite by chance. What we have today, after four years, is a finished product rooted in the idea of the cottage industry. A fabulous product created by a few individuals, to be sold as inexpensively as possible, to reach the largest possible number of children. Having retired from teaching in 2014, I hope to develop and produce more original ideas which are waiting on the drawing board.